I just can't get enough of owls these days and they are popping up everywhere. I am trying to stop my owl buying but it's tough. I even bought an owl stuffed animal at Pier One that I call Owlie. 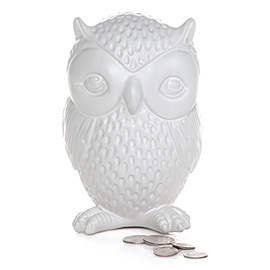 I have this owl piggy bank from Urban Outfitters in white. 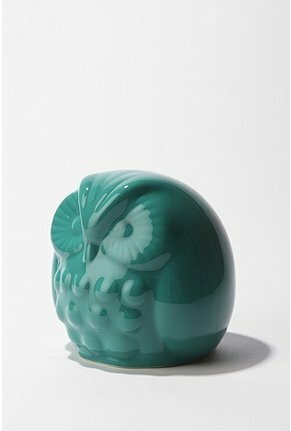 Urban Outfitters has a ton of owl stuff. Here's a few other owls that have caught my eye. 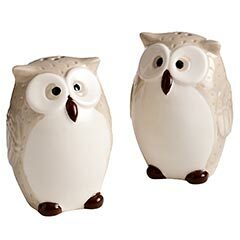 Pier one salt and pepper shakers. 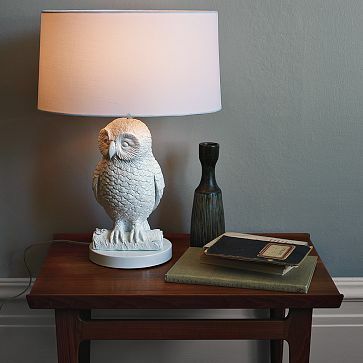 Z Gallerie's owl piggy bank. I also have some owl art. 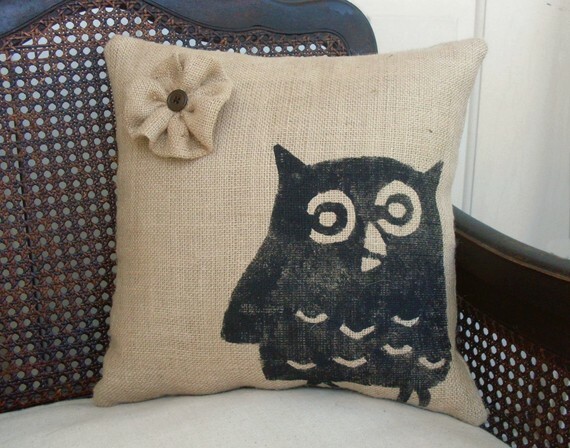 Almost forgot about one of my favorite owl items, this burlap pillow from Etsy. Love this guy. Last night I decided to clean my closet instead of cleaning the house : ) Organizing is so much more fun than cleaning. 5 minutes into the project I knew I had to make a trip to HomeGoods for all new hangers. An hour and 54 hangers later, I was back to work. It started out looking like this, messsssyyyyy. I'm lucky to have a walk-in closet in my first house and I abused it. So after some hanger switching and tidying up, my closet began to look pretty nice. Not bad. It's unfortunate that I didn't get to the other side of the closet though. Need more hangers for that = another trip to HomeGoods. My Birthday week is just about winding down. There's still a few more celebrations during birthday month, but it's mostly done, booooo. I had a wonderful week eating good food and drinking lots of wine with my family and friends. Also got some awesome gifts, including a HomeGoods gc, woo woo! And these pretty flowers are from the hubby. Besides March being my birthday month, it also means the start of Spring! I recently tried a little experiment and I can not believe it worked. I cut a branch off of a weeping cherry tree that we planted last year, followed some instructions I read online and two weeks later I have a blooming branch! Here it is the day I cut it. Don't you love it? Here are a few more pics. Notice the snow still outside and blooms in my kitchen. I think I'll try tackling a forsythia branch next.